Browse Hayfield windows reviews from homeowners and industry insiders who have worked with their products and can provide insight to consumers considering these windows. I am torn between two window options I have for the replacement of my windows at home. The quotes I have is from Gerkin and Hayfield. What I’ve noticed is that the Hayfields appear to have better AI numbers, warranty and improved overall quality. But the difference is so slight compared to the Gerkins, which is why I’m struggling on which is the better one to go with. Both quotes came in around the same price, both in the region of $1,600, which is for six replacement windows. Does anyone have any advice on these brands and which one is my best choice? 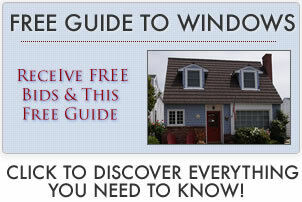 Read additional Gerkin windows reviews. I have been in the industry for many years and know the other installation experts in the area. One of them showed me a shocking letter that he had been sent from Hayfield on windows he had installed which were defective. The windows were leaking and with the thousands of windows he has installed in his lifetime, I know they were installed to the highest standard, but Hayfield are claiming that they are not responsible and it was the installation that is the problem and therefore will not fix the problem. Now he won’t sell these windows or install them without the customer agreeing to sign a waiver that he will not be held responsible should there be problems with the windows, which is understandable. After a friend installed Hayfield windows in his home and was thrilled with the result, I went ahead and used the same dealer and windows for my own property. To be fair I didn’t shop around, but rather went with what my friend had told me. I am very pleased with the result, they are such an improvement on our Andersen windows we had in there before. Overall they are a great product, the patio door is smooth to use, a simple slide and the slider windows give me the ability to clean them from the inside, which is a huge bonus. We went with low-e glass and I must say I have seen an improvement in the internal temperatures, even during the freezing winter we just had. The only problem I encountered was just after installation when I noticed the one window wasn’t what I ordered, though this was quickly rectified by the dealer, so not worth complaining about. I recently obtained information on Gerkin and Hayfield Windows. Now I know the Hayfield has a much better warranty, but the Gerkin window has the lower AI numbers. Hayfield have offered a twenty year glass warranty with a limited lifetime warranty on the vinyl and hardware, Gerkin on the other hand offered five years on the hardware and ten years on the glass. Now I am not really clued up when it comes to the numbers they have given me, which is making it difficult to make a final decision on which to go for. The quotes I have are for two single hung windows and four sliders. The AI numbers they gave me is the Hayfield 201 slider at .06 and the Gerkin 6000 slider at .04 to .07. Can anyone shed any light on this for me? Thank you. In all honesty I don’t think it will make much of a difference whichever you choose, the numbers are so slight. What I would suggest is to concentrate on the warranty because a ten year warranty isn’t very good when it comes to windows, especially if you intend living in your home for a long period of time. Hayfield and Gerkin are both good window options, so you can’t go wrong whichever you choose. My recommendation would be to go and look at both windows in person and make your decision from there. I know the Hayfield sliders are single sliders, I am not sure what Gerkin offers.